Done right, interviewing helps you determine if a candidate is a good fit for your business. Yet many business owners and managers take unnecessary legal risks with potential hires. Federal laws prohibit you from asking certain questions that could be considered discriminatory. 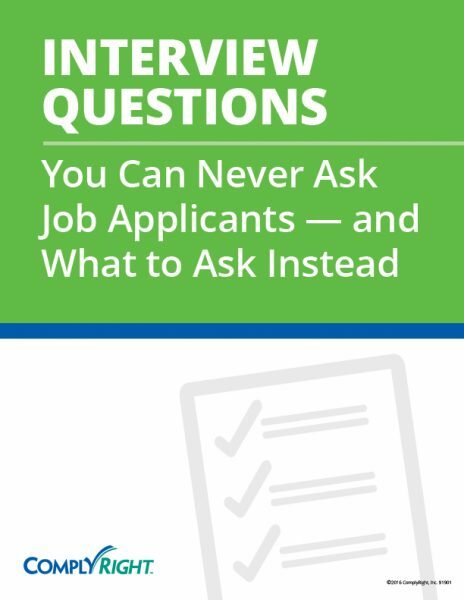 By following this checklist of interview do’s and don’ts, you’ll know which questions are off limits with applicants – and how to rephrase those questions to get the information you’re seeking.